Do social connections protect against the negative effects of social disadvantage on health? What sort of social connections are of most help? Do mothers and children in Bradford benefit from being part of a local community that is from the same ethnic background as them? Finding out these sorts of things allows us to consider if maternal and child health can be improved, and poverty reduced through encouraging and supporting the development of cohesive communities. Social connections are related to health. For example, women who live in areas with a high percentage of ethnic minorities, where relatively few people smoke, are less likely to smoke themselves during pregnancy. The relationships between social disadvantage and health seem to be different for different ethnic groups. Mothers in the BiB study are generally positive about the area they live in, despite many of these areas being quite deprived. Using interviews or focus groups we need to understand better what peoples’ feelings are about where they live and what this means for their health and well being. We need to study more if it this stronger social network that is leading to healthier behaviours? We need to be clear about what is it about social disadvantage that is harmful to health for people of different ethnicities? 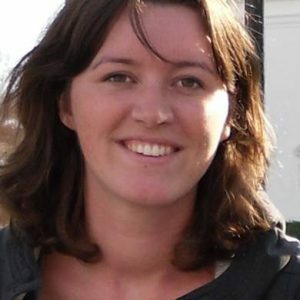 Noortje started her PhD at the Bradford Institute of Health Research and University of York in 2012 after being awarded the Hall Dorman Studentship. The research is part of Born in Bradford and focuses on the relationships between social factors of the neighbourhood and maternal and child health. Noortje has a background in Biomedical Sciences and completed a Master in Health Technology Assessment at Radboud University Nijmegen in the Netherlands. Her main interests are in social and ethnic inequalities in health.